Reserved permits will be available to purchase beginning Monday, January 7, 2019 at 8:30 a.m. Reserved permits are offered based upon space availability. All reserved lots may not appear on the parking portal until space becomes available. General and residential permits will be available to purchase beginning Monday, January 7, 2019 at 8:30 a.m. 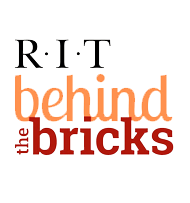 Effective August 6, 2018 RIT launched the transition to virtual parking permits. Virtual permits allow you to park in your designated area without being required to display a physical permit. License Plate Recognition (LPR) verifies registrations in all lots. No permits will be sold in the Parking Office. After Hour permits for designated resident students (Park Point and Province) will be available to purchase as well. After Hours permits are specifically for designated resident students (Park Point and The Province) and students who must be on campus after 5 p.m. We can provide an accommodations to assist those students who work on or off campus. In order to receive an accommodation on the days you work, you must obtain a Work Verification Letter (WVL) from your place of employment and provide your work schedule. Due to the limited number of spaces on campus, students living in Park Point and Province are not allowed to purchase commuter parking passes. RIT provides a campus shuttle for these students that runs from 7 a.m.-1:30 a.m. Monday-Friday and from 7 a.m. to 11 p.m. on weekends. Students can also purchase an after-hours permit for use between 5 p.m. and 1 a.m. Monday-Friday. Details about the shuttle and after-hours permits can be found on the Parking and Transportation website. The Parking Office provides parking services to students, faculty, staff and guests of the RIT community. Please visit the links below for detailed information on the Parking Regulations and services available. To the right of the page "myParking Account" provides direct access to your contact information, vehicle and permit information stored on the parking database. You can edit this information, register your vehicle, purchase reserved permits, pay or appeal citations online. Please take the time to check this information for accuracy and updates on a regular basis. The registration process is not complete until a permit has been purchased. Vehicle registrations can be processed throughout the academic year for new employees and students, permit replacements, new vehicles and license plate transfers, etc. If you require assistance, please contact the Parking Office (585) 475-2074.